The reality is that many families just can’t be together this year for the holidays—due to the cost, the distance, mobility issues of aging parents, or even plain fatigue over the hassle of travel. Multimedia lifestyle expert Justine Santaniello shares tips on staying connected with loved ones and friends during the busy holiday season. · GATHER A GROUP TO CHAT- Big family? 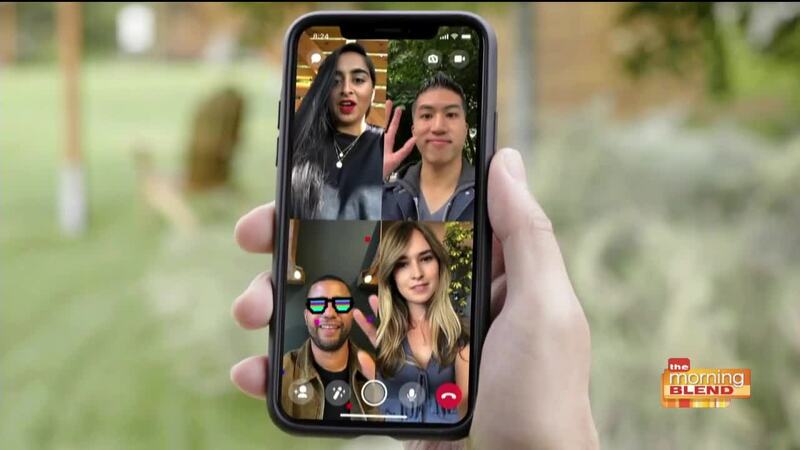 It’s now easy to connect loved ones across the country, or the globe, with video chat. You can host chats up to 50 people, so it’s possible to loop the whole family in during a holiday get together, wherever they might be. · POOL FUNDS TO GET THE PERFECT GIFT - Going in on a group gift for Dad? 53% of people say they used messaging apps to stay in touch with their siblings over this past year and with in-app peer to peer payments, you can easily split the bill right in your group chat. · HIT THE POLLS - Family drama over where to host your family's holiday party this year? Start a poll to easily solve the dilemma, with everyone feeling part of the big decision. · CONNECT KIDS SAFELY WITH THEIR GRANDPARENTS – Grandparents unable to travel long distances for the holidays this year? Fun and safe ways for kids to stay in contact and safely send messages to their extended family in real time. · MAKE IT FUN – Even if you can’t all be together to play a board game during the holidays, it’s still possible to enjoy family game night virtually, here’s how!